As a tribute to the late Joe Harvard, Boston area musician (although recently relocated to Asbury Park, NJ and co-founder of Apache Studios, Tanya Donelly has offered up a collection of demos he produced for her. These songs were originally intended for The Breeders but all ended up on Belly's 1993 classic Star. 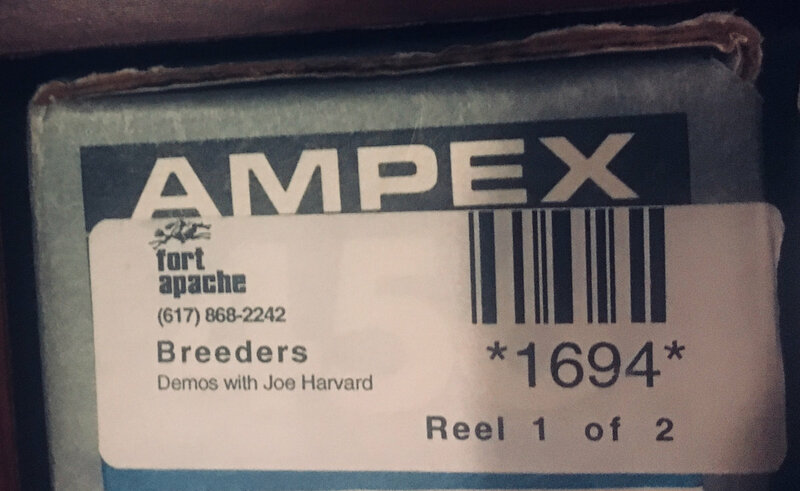 The ten songs on Demos with Joe Harvard are complete bare bones, just Donelly's voice and guitar, with some lap steel played by Harvard and some guitar by Kim Deal on "White Belly" and "Feed the Tree." "Feed the Tree" is particularly interesting in how raw it is. The guitar chords are the ones we know and adore, but it's almost grungey in how fuzzy it is. I always love hearing the original composition of my favorite songs, and Demos with Joe Harvard is a great way to hear songs we've loved for twenty six years in a new way. You can listen to the demo version of "Feed the Tree" below. Demos with Joe Harvard is available for a free download via Tanya Donelly's Bandcamp. To check out Joe Harvard's musical legacy, check out his Bandcamp.